Birmingham City Council has decided to uphold the licensing suspension on Zara’s Bar following a second hearing into a violent incident. 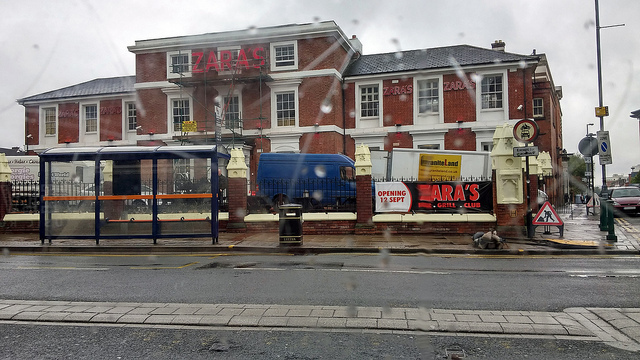 Representatives of Zara’s Bar attended a licensing committee meeting on Monday to try to regain their previously suspended licence, but the council chose to uphold the suspension. The licence had previously been suspended due to police accusations that staff had incited violence, starting a fight which led to petrol bomb attacks in retaliation. Licensing Officer PC Abdool Rohomon was present at the meeting to argue the case that the licence should remain suspended due to safety concerns. Zara’s legal representative, Craig Kelly, told councillors that two staff members were recently made redundant by the owners for their involvement in the fight, and replacements have already been hired. Kelly also told councillors that the altercation was initially started by an external promoter, who is not connected with the venue. The West Midlands Police said that one of the doormen had thrown a punch which left a man unconscious, whilst a second member of staff emerged from the bar wielding a large stick. The police continued on to say that the man left unconscious was not attended to by any workers from the venue for treatment. The police report stated that two petrol bombs were launched at the venue from a passing car, with officers believing it was in retaliation. These allegations were evidenced to the council through CCTV footage, however Mr. Kelly stated that further footage which would have defended Zara’s, had not been included. The committee had previously held a meeting to initially suspend the licence, preventing Zara’s Bar from selling alcohol or playing music. The council then reconvened on Monday for a second review of the situation, and heard cases from Zara’s representative Craig Kelly, as well as PC Rohomon. Following an extensive review which took just over an hour, the committee chose to uphold the suspension on Zara’s licence, pending further investigation. The long-term future of the bar remains unclear as the council’s reviews continue, whilst criminal investigation into the petrol bomb attacks are ongoing.